"John Roberts is probably the most original Marxist critic of the contemporary visual arts around, and this is one of his most important works to date." - Andrew Hemingway, Professor in History of Art, University College London"
Many people who look at art today decry it for the lack of craft skill in its production, whether it be painting, photography or sculpture. 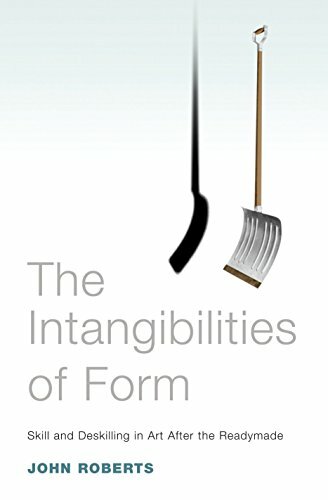 In "Intangibilities of Form", John Roberts sheds an entirely new light on this obsolescence of traditional craft skills in contemporary art, exploring the technological and social developments that gave rise to those postmodern theories that suggest that art may not require an author and certainly not one with any technical ability. Envisioning Marcel Duchamp as a theorist of artistic labour, Roberts describes how he opened up new circuits of authorship to the artist. He then looks at how these approaches proliferated in art after the 1960s and in the rise of Conceptual art. In explaining why the question of authorship has been so fundamental to avant-garde art and neo-avant-garde in the 20th century, "The Intangibilities of Form" is a formidable history of the hidden labours of the artwork.